Melbourne's sister duo, Charm of Finches, are Mabel and Ivy Windred-Wornes. They sing dreamy harmonies — haunted folk tunes about heartbreak, solitude and whispering trees. After starting by busking Appalachian folk songs when just 11 and 8, Charm of Finches released their first EP three years later. 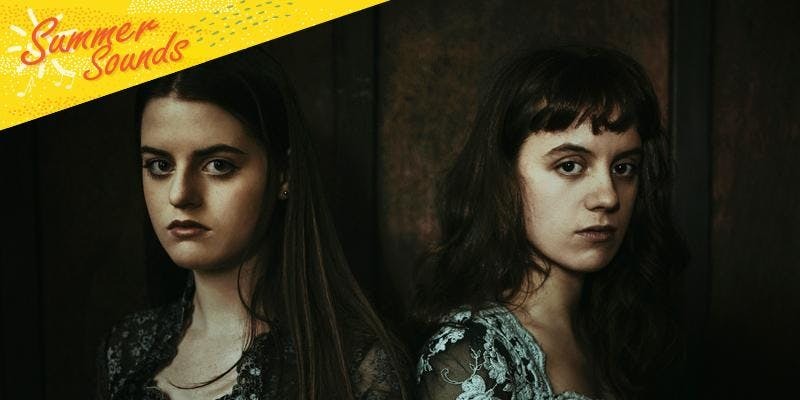 The duo have played folk festival stages throughout Australia since 2015, winning the 2015 Darebin Music feast Songwriter's Award and the 2017 National Folk Festival Young Musician's Award. In 2017 they were a Young Artist Award Winner with Folk Alliance Australia (FAA). Their 2016 debut album Staring at the Starry Ceiling gained national and international airplay (including Triple J and ABC Radio National) and received widespread positive reviews. Their 2018 single, "The Bridge", was launched with a national tour, including a sold out show at the historic Melbourne's Horti Hall. They are currently recording their new album, due out late 2019.